Jack Summers is convinced he’ll beat Manny Zaber all ends up as the two former sparring partners get set to fight in next month’s BCB’s Midlands Boxing Super Series. Summers and Zaber meet at the quarter final stage of the competition at Walsall Town Hall on Sunday, October 15. West Bromwich’s Summers and Zaber, from Old Hill, are stable-mates who will now become opponents on fight night. Summers is the slight underdog with three points victories and two defeats as a pro with Zaber sporting a record of 10 points wins and one loss. 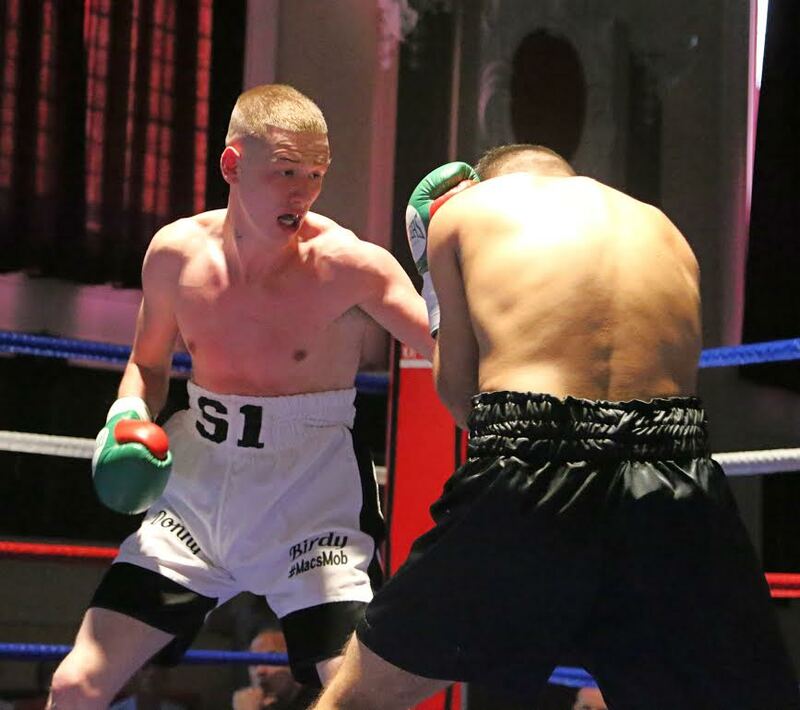 The contest has forced Summers out of the duo’s Wednesbury Boxing Academy base, with his preparation taking place at Anchor Gym in West Bromwich. However, as he looks ahead to the BCB Promotions show, Summers is confident of coming out on top. “Me and Manny knew each other well,” he told bcb-promotions.com. “I feel I got the better of the spars and I think I’ll be too much all around for him on the night. “He’s a fit lad, I’m expecting him to come forward and try to put me under pressure and I’ll relish that. I just think I’m on a different level to him. “I know what his game-plan is, he’s expecting me to come in unfit and then tire after a couple of rounds, then he’ll catch me, but I’m fitter and stronger than I’ve ever been. “When we sparred, I wasn’t in great shape but I know I hit harder, because I’ve felt his power. It’s luck of the draw that we’ve been put together and it seems like it’s meant to be. The remaining quarter finals see Tamworth duo Josh Baillie and Louis Fielding go head to head, Birmingham duo Paul Holt and Waqas Mohammed square off and Chasetown’s Luke Jones steps in with Leicester’s Joe Ducker. Dudley’s Ryan Aston, West Bromwich’s Josh Stokes and Coventry’s Dilly Singh complete the card. Tickets for the show are on sale now, all priced at £35 and £60 ringside in advance with the latter including a light buffet. It will be £40 standard entry on the door. For more information, call the Town Hall Box Office on 0845 111 2900. The show is sponsored by Grosvenor Casino Walsall, on Bentley Mill Way.